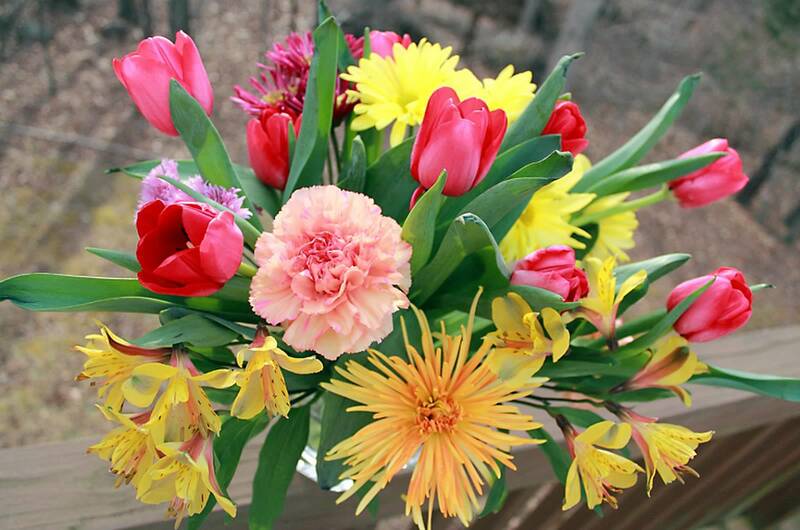 For this challenge Marsha provided us with a beautiful photo of a flower bouquet for a Mother’s Day (or other occasion) Inspiration. Beautiful isn’t it? My own Mom is no longer here to receive a bouquet but I hope she would like the paper version I’ve placed on a card for her and all my “other” mothers. 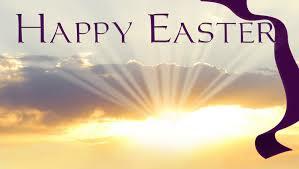 If you have a Mom or an “other” mother (a friend or person who you look up to and learn from and love as you would a mother) maybe this would be a good time to create your own card to let them know you are thinking of them. Other mothers are wonderful to have in your life don’t you agree? 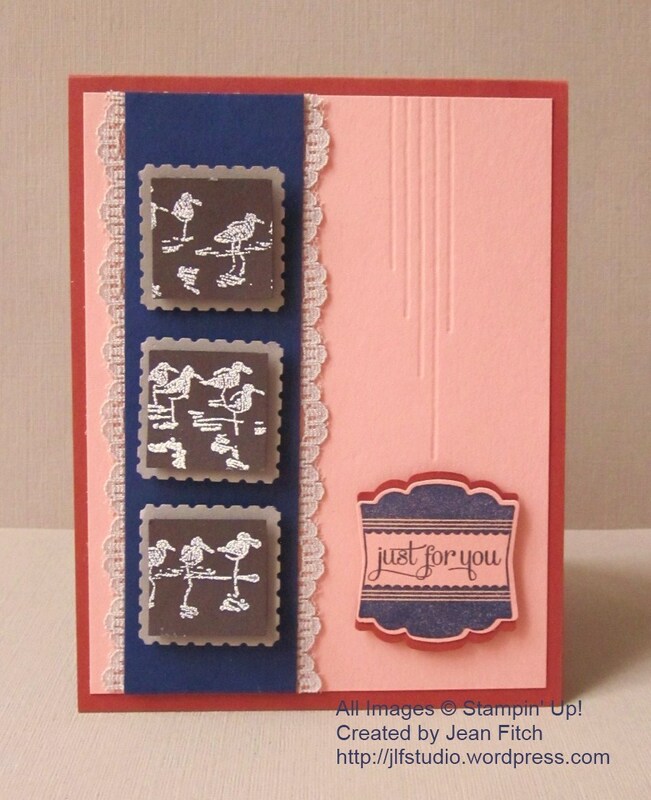 Here’s my interpretation of Marsha’s lovely inspiration piece using one of my favorite stamp sets from the 2015 Occasions Catalog. Build a Bouquet provided the sentiment, bamboo looking background and the stamped elements on the flower. This stamp set has it all that’s for sure. 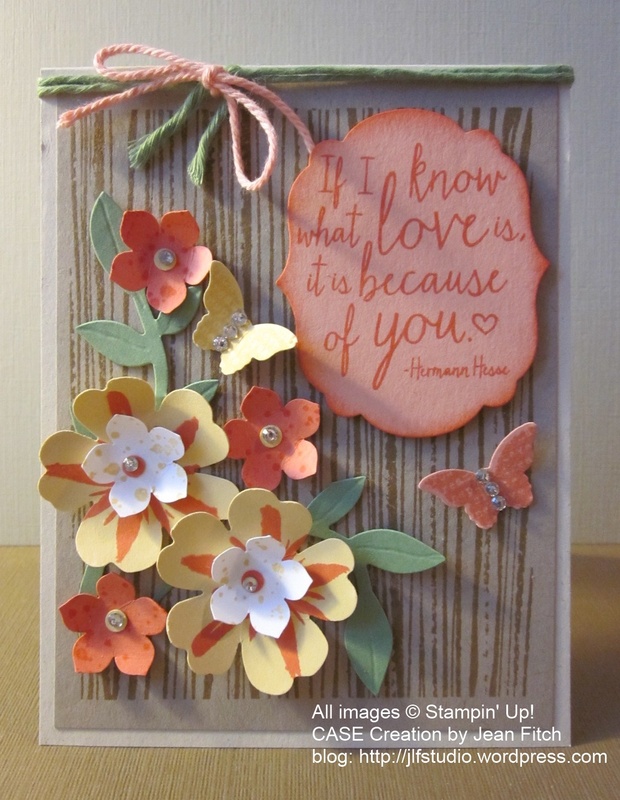 Stamps: Build a Bouquet, Butterfly Basics (butterfly image). I also just happen to have project directions in a PDF format in case you want to make one of your own. There is one direction I realized after rereading that I left off. You can take a stylus and add lines to the the leaves on the bough to give a more natural and textured look. One quick note: The Label’s Collection Framelits and the Flower Frenzy die are on the retiring product list and even better…are 50% off. Cool! Some of the items used are also in the Occasions Catalog which ends June 2. Check with your demonstrator for details. Some parts of the card are my own idea but the basic layout came from a number of Pinterest posts that came up when I did a quick Google search for inspiration using Build a Bouquet. The primary being a post from Nicole Tugrul for a Connie and Mary Spring Collection Blog Hop. You can see that card here. That’s it for this challenge. I hope you’ll join the Watercooler challenge and show us your own Flower Inspiration project and link up to us. Don’t forget to check the Watercooler Challenge Blog post here to see who was the winner of the last challenge submissions by linky artists. Check the challenge site for rules on competing for future challenges. Hugs and Blessings to all my other mothers out there, friends and readers. For this challenge Heidi has provided us with a wonderful combination challenge to play with and create projects. Join the rest of the design team over at the Challenge blog website here to see the rest of the teams designs and to add your own with the linky doodad. I once knew a lady who using a pair of small sharp and pointed scissors (her “snippity snips”), could cut the most amazing silhouettes of people, animals, plants and even complicated lace patterns. Not being quite that talented with scissors (my paper snips from Stampin’ Up), I resorted to Stampin’ Up punches and dies. Here’s my entry…no bunnies today but it is another 3D. Have I mentioned lately that I’m hooked on 3D and punch and die related projects? With Father’s Day on the horizon (okay…this basket would work for Mom too) I wanted something in what I considered guy colors. I know…all our colors work for anyone (though good luck with Pink Pirouette or Blushing Bride for any guy who knows the names of our colors…or just has an aversion to pink) but you have to admit some can be a challenge (hm…maybe I should have given some thought to adding to my Father’s Day challenge coming up just to make it tough on all concerned) more than others. 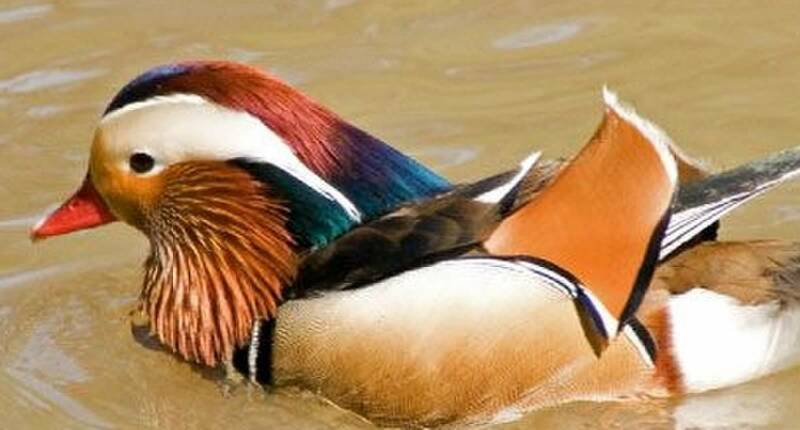 My late husband was a fan of tans, blues and browns (a big fan of birds and other natural wonders too) so keeping all of that in mind here’s what I came up with. and a corner view so you can see the handle and a bit more of the lining. I’m still deciding what to put inside this fun basket. Maybe little 3″ x3″ why I love you cards or coupons for chores or dinners out or whatever your heart desires. Of course…Hershey’s kisses and other treats are always a great pleaser as well. And if your imagination fails you…Dad can always use another tie wrapped up and placed inside this much more imaginative basket! Not too bad for my first Berry Basket attempt. Of course I had a bit of help. 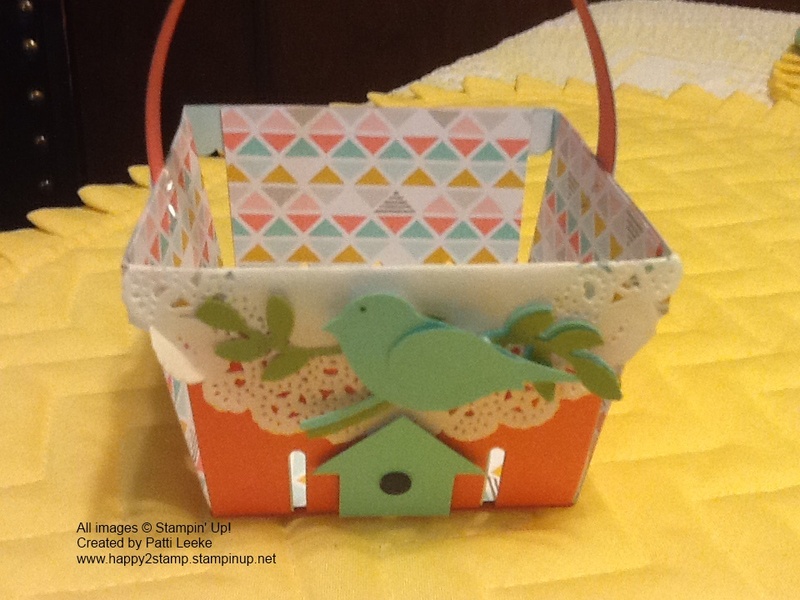 My friend Patti Leeke created this gorgeous basket that was my starting point along with Heidi’s wonderful (and brain teasing challenge). I saw that and knew I had to incorporate the bird and bird house into my design. I learned a few things along the way. One…I love this Berry Basket die! And I bet you will too. 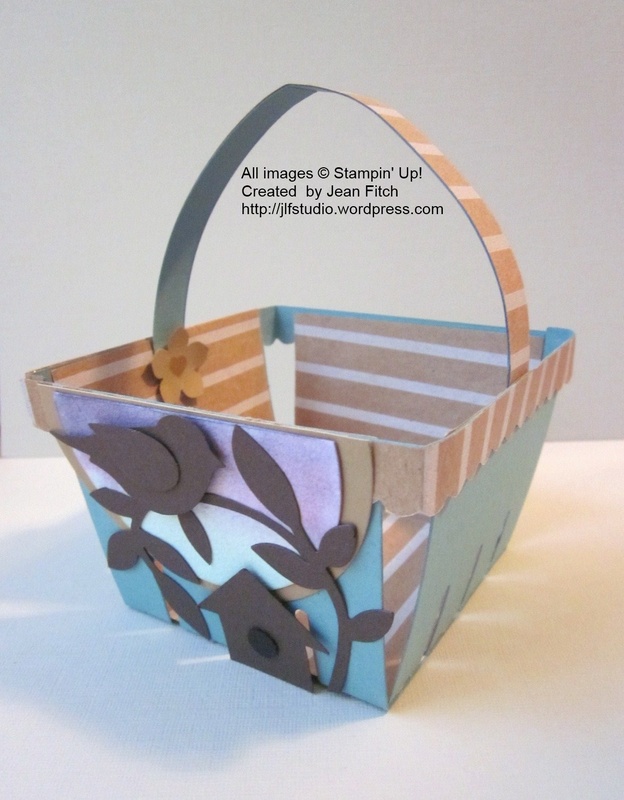 Here’s another fun project by my friend Deb that will give you a few more ideas on using with a card. Deb posted it on our last Challenge in the linky doodad. Nice when you can do cards and other things with a die than just it’s intended use. Other tips from my friend Patti Leeke who has done quite a few of these. 1) Always line your basket with a fun paper. That’s Patti’s firm and fast rule. 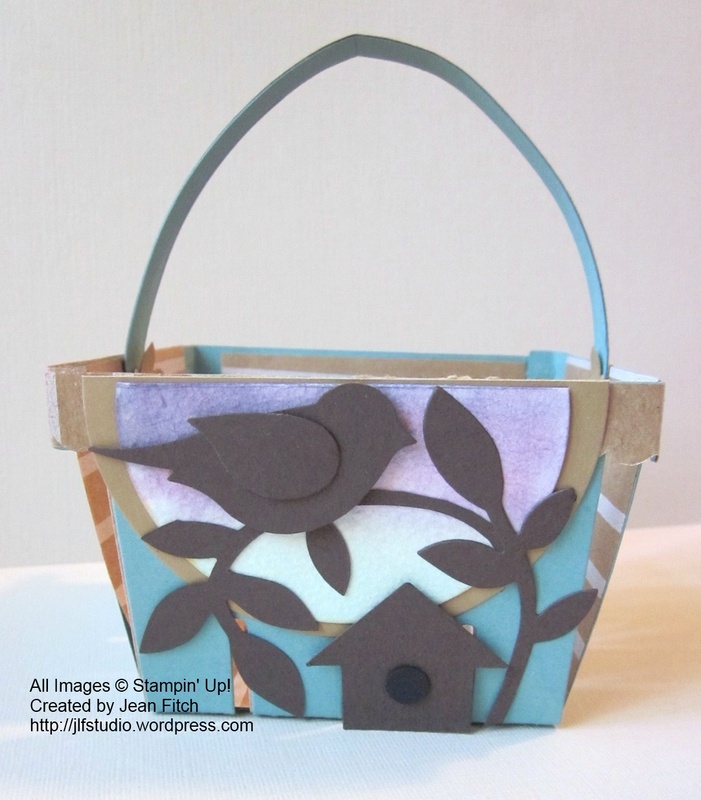 2) Put your cardstock basket together first (except for the rim and handle) and then add the liner -matching up the holes at bottom of basket and adding glue in between the holes as well as other areas (Patti’s favorite glue for this is the Tombow multipurpose liquid glue in the green capped bottle). Once that’s done then add the scalloped or straight rim by placing the completed rim on the table and then squeezing the basket sides and move the rim up into position. 3) If you have a slightly imperfect side…hide it with a doily! Boy do I wish I’d remembered that rule! Can you guess where I found the tiny heart? It’s from a fairly new photopolymer monthly stamp set that doesn’t appear in the catalog – Lovely Amazing You. 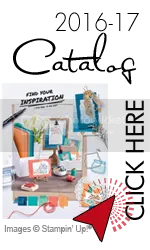 I hope you’ll join the Watercooler challenge and show us your own watercolor and silhouette project and link up to us. Don’t forget to check the Watercooler Challenge Blog post here to see who was the winner of the last challenge submissions by linky artists. Check the challenge site for rules on competing for future challenges. 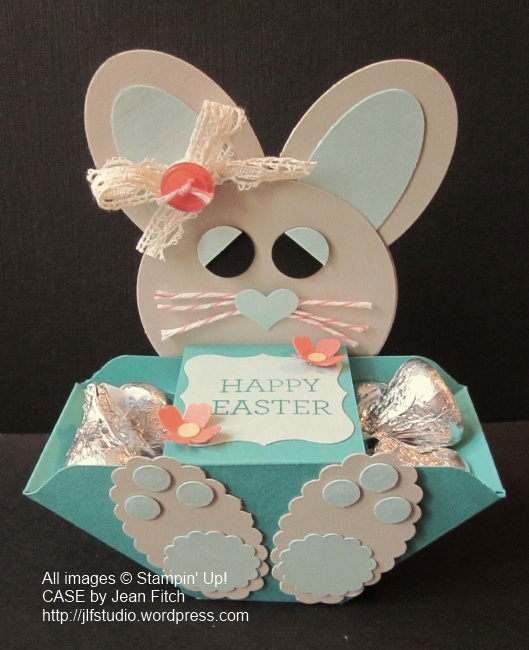 Watercooler Challenge WCC21 – Happy Easter! For this challenge Susan Horr has provided us with a wonderful set of colors to play with and create projects. Here’s my entry…can you see all five colors? I couldn’t resist making a 3D Easter bunny project. With the challenge going live on Easter Sunday I felt I had to create something fun and just a bit sweet (yeah I know…bad pun with all those chocolate kisses on view). I’ll also admit I’ve gotten addicted to these bunny boxes. I’ve made quite a few as gifts the last week or so. I’ll share pics of those others next week. 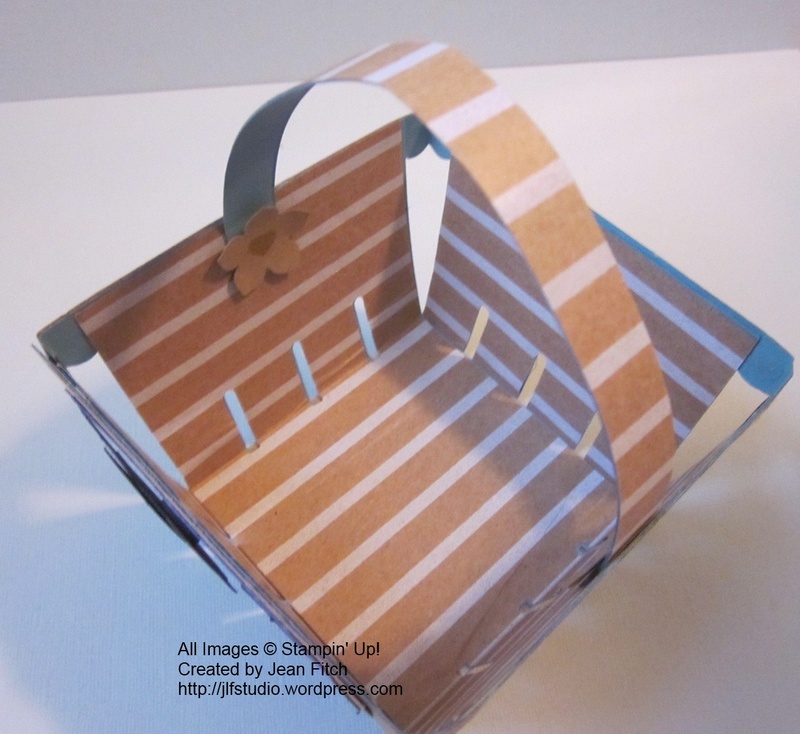 Along with their stories and a handy cheat sheet for making the bunny boxes. 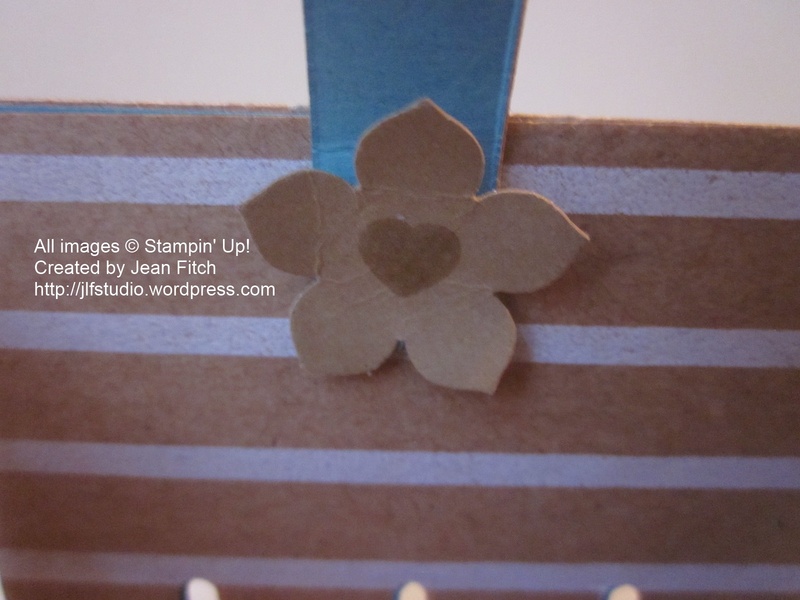 The basic box uses my favorite Envelope Punch Board tool. The rest is all punches, glue dots and sticky strip. Can you see the bitty touches of Calypso Coral and So Saffron? The whiskers are Calypso Coral Baker’s Twine that is sadly now retired but the paper is still current and available to punch with the Itty Bitty Accents Punch. Only two dots of So Saffron but Susan only gave us the colors and didn’t say how much of each we had to use. 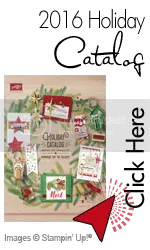 LOL This really is a paper and glue project with almost no ink and only a couple of stamps from the Crazy About You, a 2015 Occasions catalog stamp set. Paper: Whisper White, Bermuda Bay, So Saffron, Pool Party, Sahara Sand, Basic Black, Calypso Coral Cardstocks. I’m also submitting this project for the Friday Mashup Challenge – FM203 – here. This is the first time I’ve entered the Friday Mashup and I’m not entirely sure if it’s okay to add additional colors (besides neutrals) or not. If so then this is both the color challenge and the Easter Critters challenge all mashed up. If not then I guess it’s only the Easter Critters. I was so excited to see that their colors matched mostly with our Watercooler Challenge colors. Great minds think alike right? Check out the Mashup I linked above and join in that challenge as well. Since Easter is for me, primarily a religious celebration I thought I’d make a second card to add to the WCC21 Linky. Paper: Whisper White, Bermuda Bay, So Saffron, Pool Party, Sahara Sand, Calypso Coral Cardstocks. Best Day Ever Designer Series Paper (2015 Sale-a-Bration retired) Calypso Coral sheet. 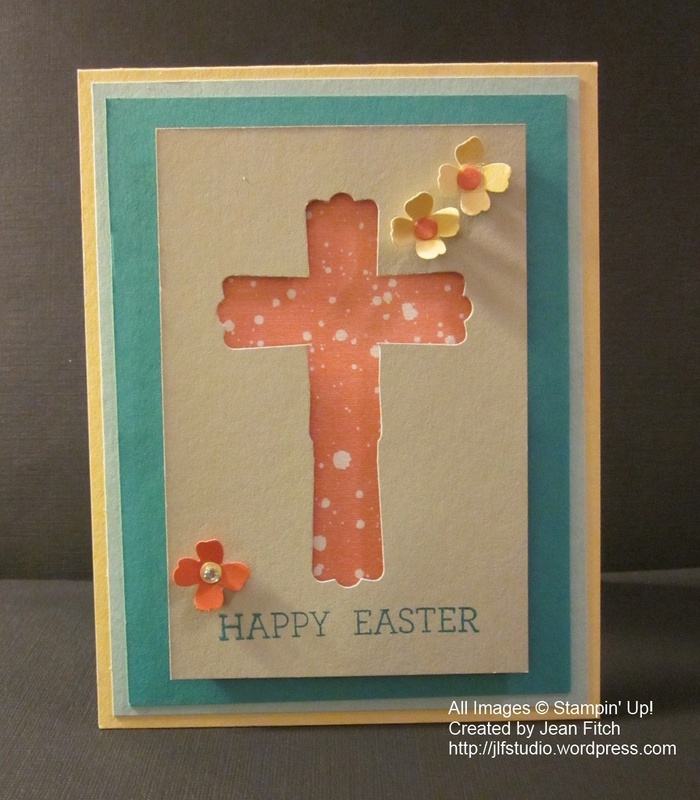 The basic shape of the cross uses Brenda Quintana’s brilliant Modern Label Cross Tutorial. Brenda is also known as Qbee and and she’s famous for Hershey Treat folded 3D projects of all kinds. To me she is simply the queen of simple and fun and she freely shares so many of her wonderful projects. Check her out. I’ve got an entire Pinterest board dedicated to her brilliance! I hope you’ll join the Watercooler color challenge and show us your own interpretation of the picture and link up to us. Don’t forget to check the Watercooler Challenge Blog post here to see who was the winner of the last challenge submissions by linky artists. Check the challenge site for rules on competing for future challenges. For this challenge Bev Q provided us with a wonderful picture. 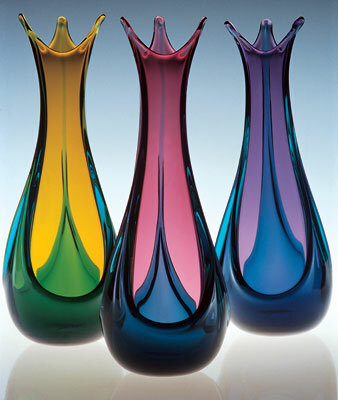 I love the fluidity of shape, simplicity and a multiplicity of colors to play with. Kind of reminds me of I Dream of Jeanie too but I don’t think I can fit harem pants onto my card (well…or on me either). As with most inspirational picture challenges you can take your inspiration where you find it in the picture. 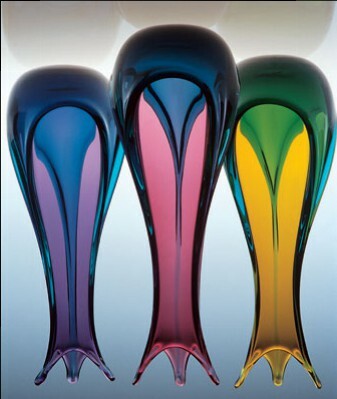 For me it was the rounded shape, the colors and the basic fluid lines. And of course me, being me, I had to turn the picture on it’s head just to see what thoughts that provided. Want to guess what I saw before I show you my card? And no it’s not a squid or snail! I ran into one tiny problem…the balloon die cut I decided to use is huge! I just couldn’t see adding more balloons given the shape I had opted for so I ended up cutting back on the colors I used. I also melded the brighter green and and lighter blue into a compromise…Coastal Cabana! Bermuda Bay might have been a truer mix (I always did enjoy color manipulation in my dying and weaving) but since I decided to debut my first use of Strawberry Slush I thought SS might need the comfort and company of it’s fellow In Color mate. Wouldn’t you know I’d finally get into the 2013-2015 In Colors just as they are about to leave the stage? Yep…that’s how my boat so often floats (or my balloon as the case may be). Oh…and a quick reminder. If you are wanting to keep these colors around make sure to pick up your refills, extra paper and so on soon! The retirement list is coming out in a month or so and those In Color items disappear quick! Okay…now that I’ve let the cat out of the bag…here’s my card. 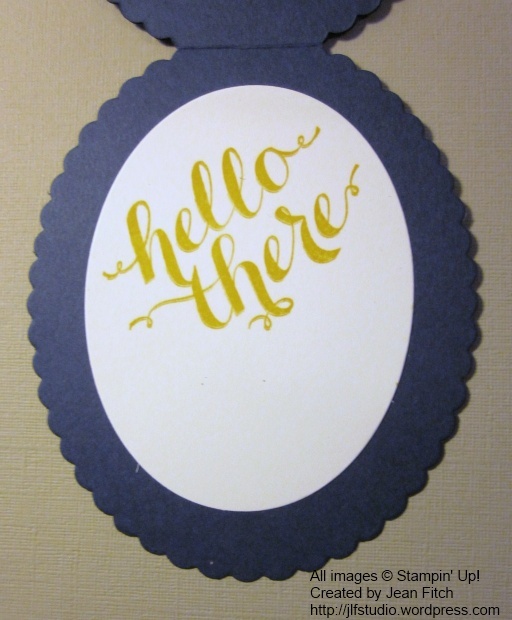 In my rendition of the inspiration picture I reflected the deep blue curves of the bottles in the scallop curves of the Night of Navy card base then added more curves with a round balloon, an oval mat and the curvy feel of the hello die of the new Hello You thinlits. Have I mentioned yet how in love I am with the Occasions Catalog this year? 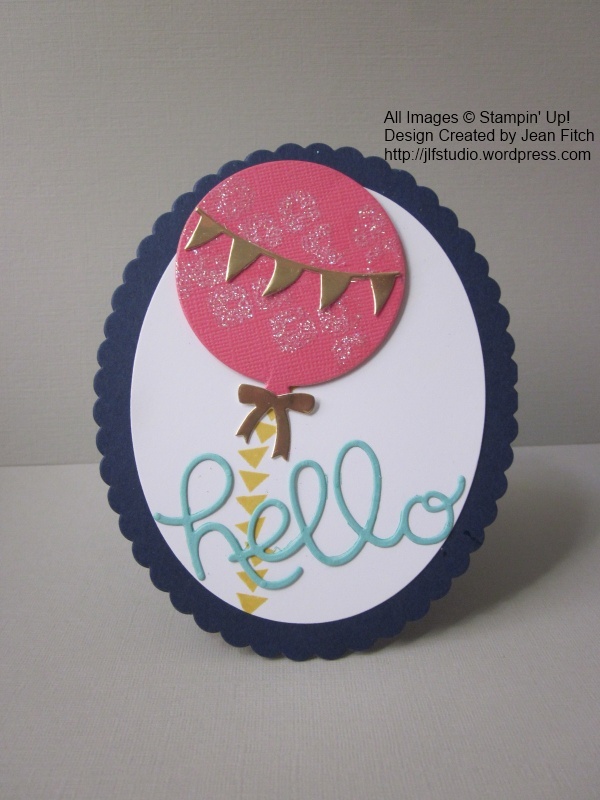 The balloon, bow and pennant banner piece are all from a die set that coordinates with the Celebrate Today stamps. I was a tad chincy on my use of stamps on this card so you are only seeing the tail image (is it still a tail when it’s on a balloon and not a kite?) from the Celebrate Today stamp set. One of many fun images for all occasions. Another wonderful thing about the size of the balloon…it’s big enough to cover the inky smudge my fingers picked up when I opened the Crushed Curry ink pad. Note to self: Wash hands before assembling, stamping or touching layers of the card…especially when said layer is Whisper White! 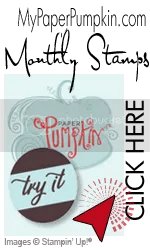 Stamps: Celebrate Today, Hello There (interior), February 2015 Paper Pumpkin stamp set (the image on the balloon under the Dazzling Diamonds. Paper: Strawberry Slush, Whisper White, Night of Navy, Coastal Cabana Cardstocks. Gold Foil. Here’s a quick shot of my incomplete interior. I’m still mulling over whether I want small flowers, another bow or what to dress up the inside of the card. I hope you’ll join the challenge and show us your own interpretation of the picture. Don’t forget to check yesterdays Challenge Blog post to see who was the winner of the last challenge submissions by linky artists. Check the challenge site for rules on competing. Last night was the last night of Hanukkah – the Festival of Lights – and today is the first day of Christmas – for many of us Christians the first day of an entire season. So many images of light and joy are dancing through my thoughts these last few days as I celebrate these gifts from a loving Creator so I thought I’d pop in here to wish you all joy and peace and the blessing of light in your lives. For me all holy days (well really all days since most are holy in one way or another) are about Joy and on Christmas more than most. One of my favorite blogs (The Velveteen Rabbi) gave me two Christmas gifts today. One a link to a blog ( Telling Secrets ) I’ve never read before (but will be reading now) and who’s post about Joy and Christmas and life in between confirmed my own thoughts on the subject and reminded me what it is to breathe. And second a poem that says so much and reminds us to carry Christmas with us throughout the year. Thought I’d share that with you too. I thought I’d also share a bit of creativity with you as an added gift. My dear friend, fellow Llama and Wacky Watercooler member Patti Leeke shared her lovely picture of a star wreath with me awhile back and today seems a great day to share that with all of you as well. Not least of which is because the Many Merry Stars Simply Created Kit that is the foundation of the wreath is on sale until January 5th or while supplies last. 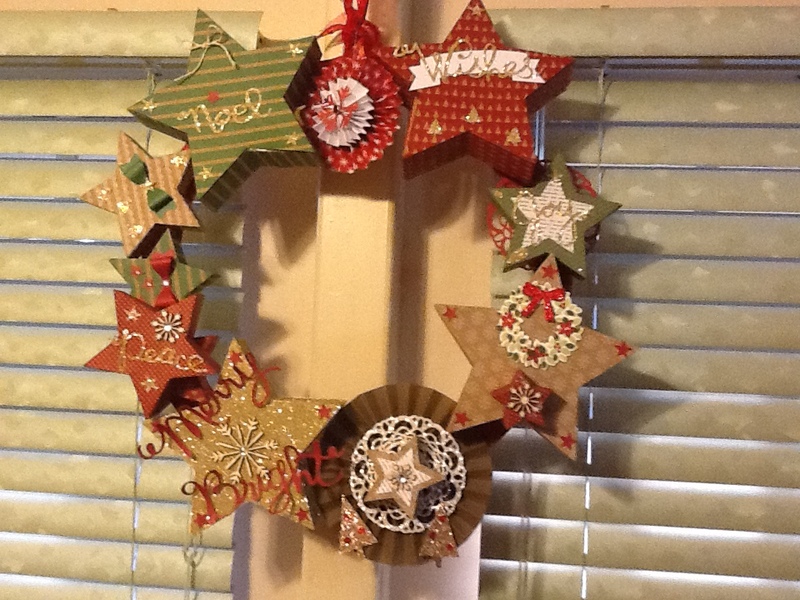 Think of star shine, creativity and love and you have a picture of both Patti and her wonderful wreath. Thanks Patti for sharing! Now if only one of Patti’s New Years resolution was to start a blog! 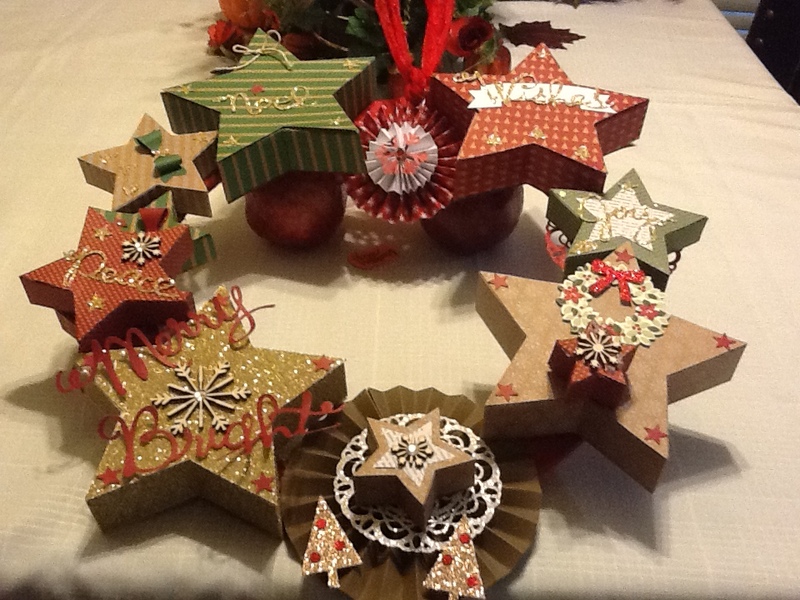 Many Merry Stars Simply Created Kit, Tree Punch (2014 Holiday), Designer Rosette XL Bigz Die, Gift Bow Punch (2015 Occasions), Paper Doily Sizzlit Die (retired), Itty Bitty Accent punch pak (stars), Wonderful Wreath stamps and die set (2014 Holiday), Glimmer Paper (various colors), Snowflake Punch (retired), Small Circle Punch – not sure what size. That’s it for the blog today…back to the merry mayhem that is Christmas in the country…good food, good friends to share with, neighbors chickens, dogs, music and celebratory gun shots (theirs not mine and not recommended at all) and a tangible joy that knows no bounds.